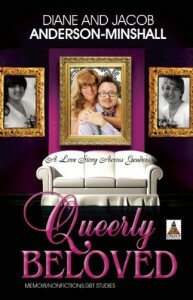 Queerly Beloved is a well-written memoir about two people in a long-term, committed, originally lesbian, relationship starting at the point when one of the partners realizes in mid-life that she is transgender. The partnership remains stable as the trans member embarks on and completes the process of female-to-male transition. Written by both partners, the book details the complex physical, and, moreover, mental and emotional process of this transition, and the effects on the partners' relationship. This is a courageous, revealing memoir that fearlessly goes into great detail the intimate details of their relationship, the challenges of supporting one's partner as the partner goes through a life-changing process, and the "facts of life" that the transition process entails. This is a fascinating read that provides the intimate details of queer relationships in general and the transgender transition process in particular. However, I must admit I have a hard time relating to the authors and the queer culture in general. I am definitely straight, and while definitely not at all homophobic, I have long grappled with understanding queer relationships and culture beyond an intellectual and empathic understanding. I think it is impossible for me to fully understand what it is like to walk in the author's shoes because I don't wear those shoes, just as I do not walk in the shoes of other cultures or religions. 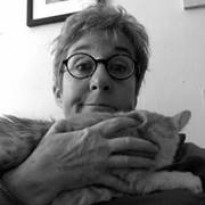 It is like a Jew (which I am) trying to understand what it is like to be Catholic: I value diversity but I cannot fully share the experience. Yet, it is a privilege to have been invited into their lives and I appreciate the candor with which they tell their story. Queerly Beloved adds a great deal to the gender spectrum conversation. My own relationships are not defined or limited by gender identity and I commend the authors for enriching and enhancing my knowledge of the emerging science of gender and its multiple, nuanced meanings. I have gay friends and relatives who I respect and love dearly, including one relative who has undergone top surgery. I first learned of the gender spectrum concept from that person and at the time was very confused. My love and respect for this relative never changed, though, and reading Queerly Beloved helped me better understand gender diversity.